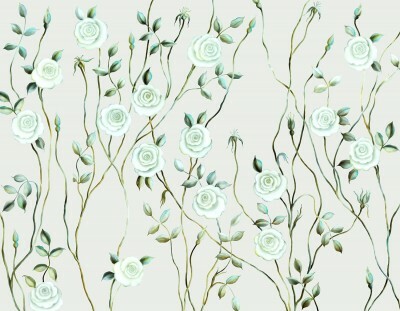 Dreamy Rose Fabric on Off White background. 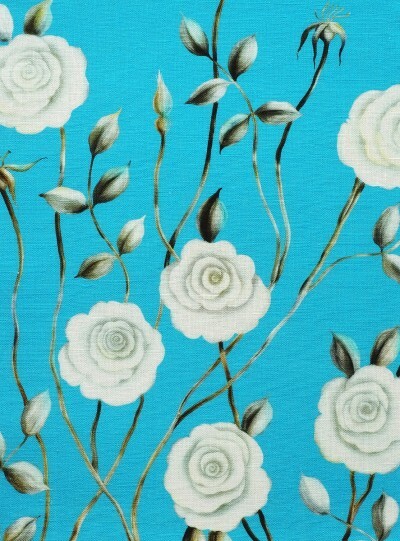 Fabric panel. 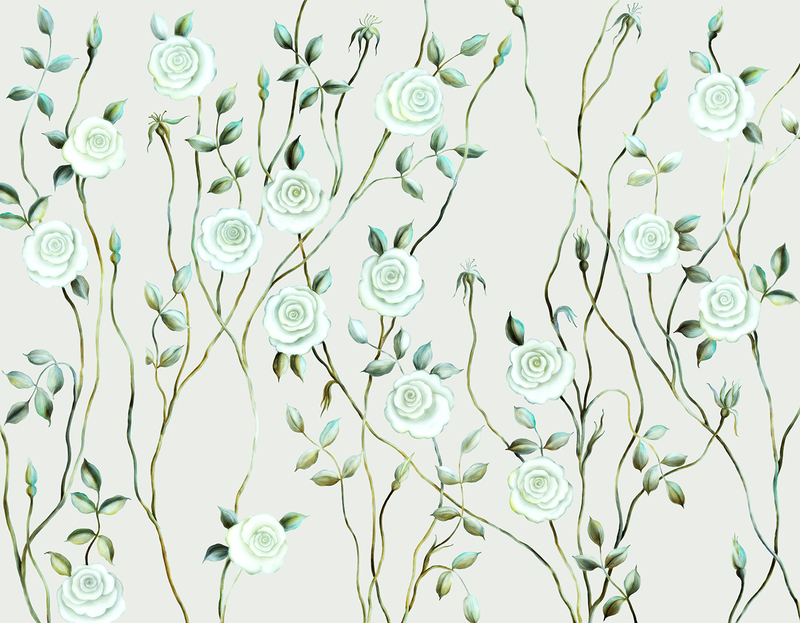 Dreamy Rose Fabric depicts a free flowing motif of intertwined delicate dreamy roses. 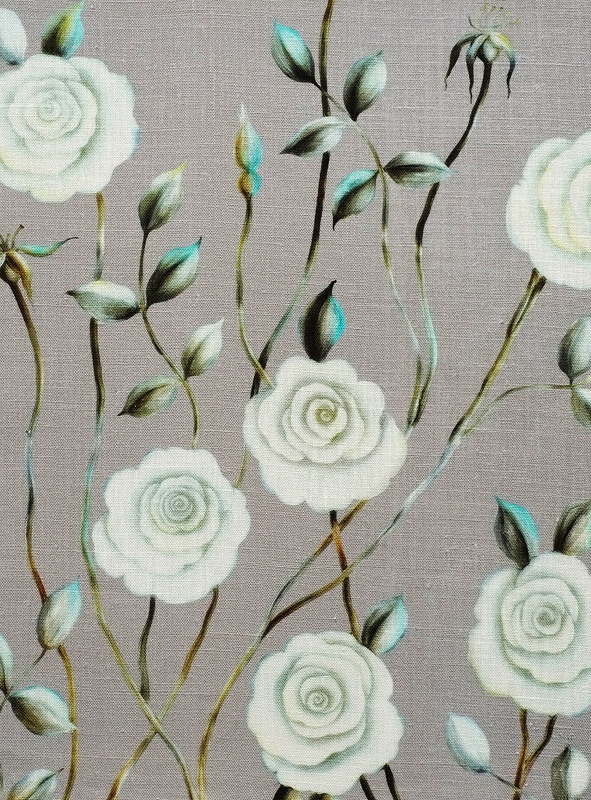 Dreamy Rose fabric has non- repeat fabric design. It presented as a fabric panel; Height: 110 cm, Width: 138 cm. Material: 50% Cotton, 40% Linen, 10% Polyester. 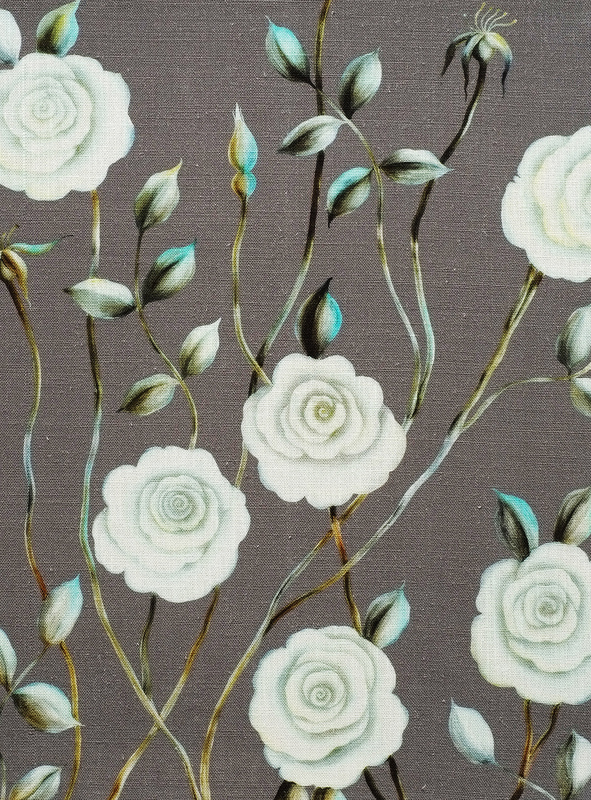 Suitable for furniture upholstery, headboards, screens and cushions (for residential and contract interiors). Dreamy Rose on Off White background. Fragment shown 46 cm by 62 cm. Dreamy Rose on Light Grey background. Fragment shown 46 cm by 62 cm. Dreamy Rose on Dark Grey background. Fragment shown 46 cm by 62 cm. Dreamy Rose on Blue background. Fragment shown 46 cm by 62 cm. 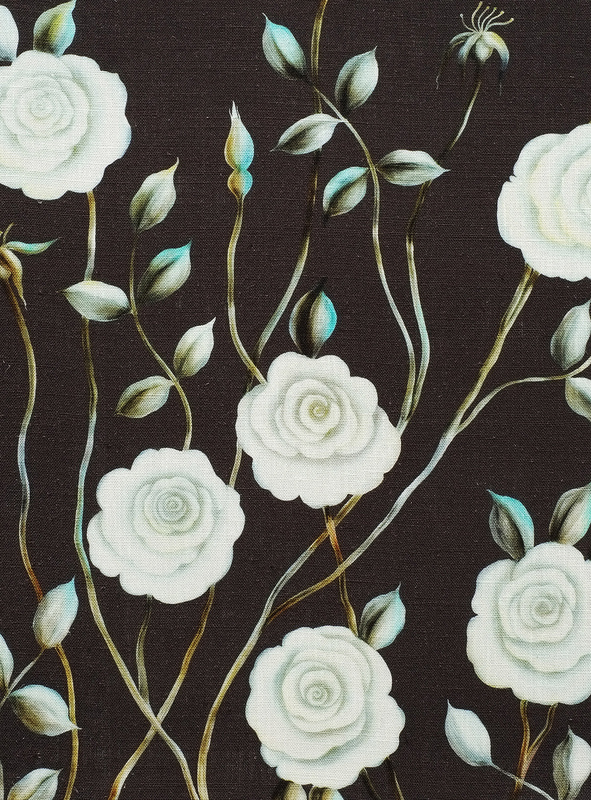 Dreamy Rose on Brown/Black background. Fragment shown 46 cm by 62 cm. 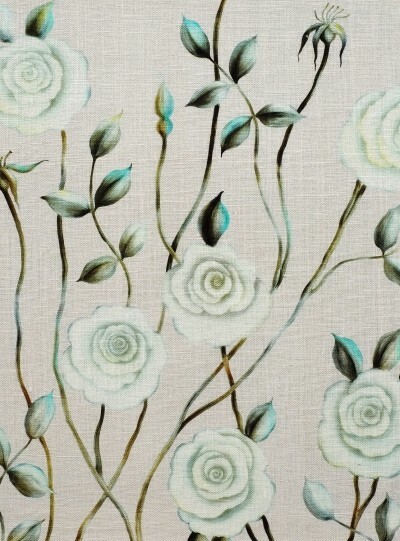 To see Rose Fabric upholstery go to “Rose Chair” Post. ← The English Rose fabric: Mysterious Rose.